Things I Figured Out While I Was Walking The Dog - Slow down and exercise your mind; the things that you see on a dog walk are applicable in a broader sense to the bigger issues that exist in our personal lives, as well as the world. Things I Figured Out While I Was Walking The Dog is a book about taking stock of your life. The dog walk is an allegory for slowing down and taking the time to examine your life. I use stories and humorous anecdotes to take the reader on a journey of self-discovery. It is an easily read story that paints pictures to exemplify the bigger picture of systematically reorganizing your life, much like the overstuffed filing cabinet or closet in your home. It is a must read for anyone who is overwhelmed, disheartened or at a loss as to how they can succeed. Let me show you how to examine your life and remove that which weighs you down. Once you have opened your mind to the possibilities, then you can help to reshape the world in a more positive direction. We have all steered off course and need to correct our direction before we veer too far from where we as a society meant to go. My intended audience is the overburdened middle class of America and the world. The people who shake their heads as someone cuts in front of them or wonders if they can hold on a little longer. It is a book for the underemployed of our generation, who long for the chance to get back on steady financial ground. While I offer hope, it isn’t the kind of hope that is unobtainable. The suggestions that I make throughout this book are very doable and my upbeat approach is meant to amuse you as you consider the real possibilities of improving your mood and circumstances. 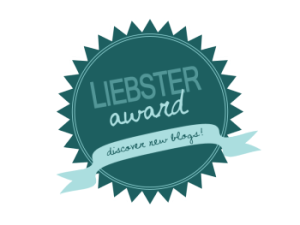 I've been nominated by S.G.Lee, the master of horror and story teller extraordinaire at http://sgleehorror.blogspot.com/2014/04/liebster-award.html... Please visit my Facebook page below to find out who I have nominated! Content copyright . THINGSIFIGUREDOUTWHILEIWASWALKINGTHEDOG.COM. All rights reserved.